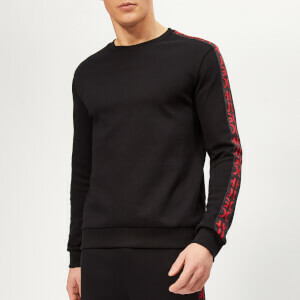 Black McQ Alexander McQueen logo tape sweatshirt. 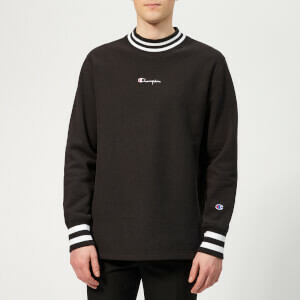 The soft cotton sweatshirt is detailed with contrasting ‘McQ’ logo tape on the sleeves and sides. 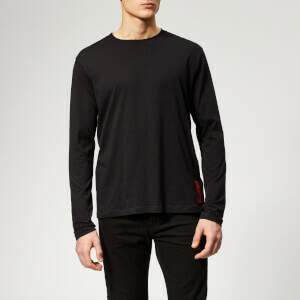 A ribbed crew neck, hem and cuffs add the finishing touches. Main: 100% Cotton. 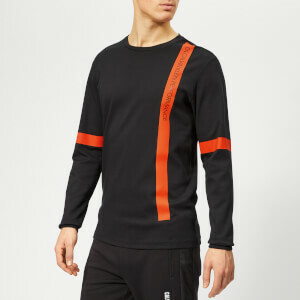 Trim: 98% Cotton, 20% Elastane. Details: 55% Polyamide, 27% Polyester, 18% Elastodiene.